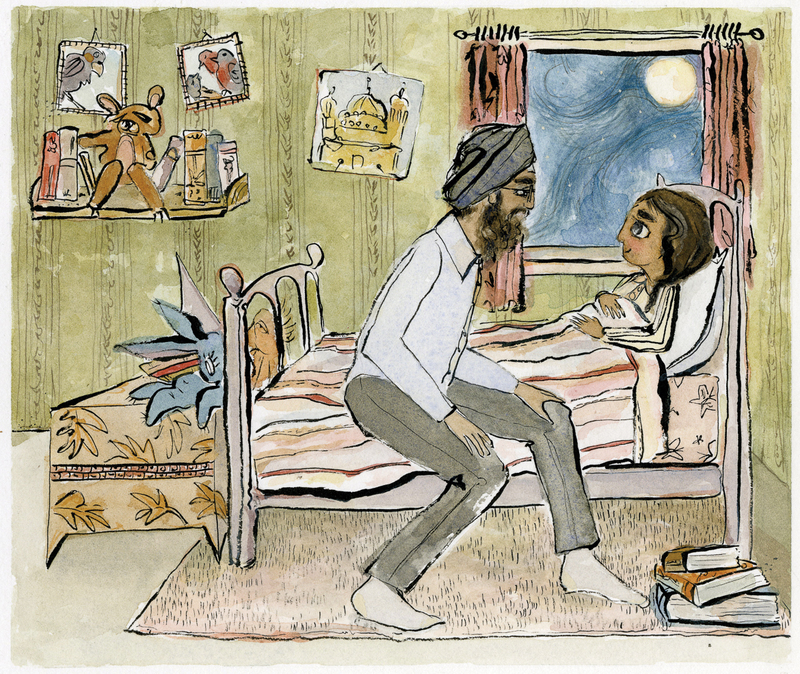 This post on the Sikh identity in children’s books contains excepts from Navjot Kaur, author and Founder of Saffron Press. Despite years of rejections, I believed our stories could be erased no longer. Perhaps I did not fit the needs of the traditional publishing market, but I could still blaze my own trail. Writing became a tool to forge through fears of the unknown. When we learned our son was Deaf, my perspective shifted from the single lens of diversity, to a broader understanding and urgency of equity and accessibility. These books create a soft landing space for my child to fall upon when things got tough, without him losing sight of his own self worth – he would not be invisible. The term ‘Sikh’ means someone who is open to learning each day. It is an individual journey of exploration and discovery. Although a voracious reader, I grew up not seeing myself reflected in the books I read. As we read our nightly stack of books, not a single one reflected our family’s mirror. By the time I became a mother myself, nothing had changed as far as children’s books. Even when we found some ‘diverse’ reads, the illustrations reflected fair South-Asians, which neither challenged the social inequities faced by darker-skinned individuals in our community, nor filled our void. As a teacher for over a decade and a new Mum, I knew that if I wanted the experiences of children who look like my son to be included on the shelves of libraries and homes, I would have to create visibility by writing and publishing those stories myself. Dreams of Hope gives every little one a place to imagine reaching for dreams. Whilst her father sings her an ode to the beauty of the natural world, she imagines the world beyond her window. After 9/11, our community feared for our lives and experienced countless verbal and physical threats, based solely on our very visible faith identity and a media that flashed images of persons in turbans alongside headlines referencing terrorism. Media portrayals have been flawed by stereotypes and misconceptions. Journalists are becoming more informed, but it has taken years of advocacy work from various Sikh human-rights organizations to educate the mainstream population about who we are. When a news story involves a person of South-Asian heritage, the reporter will immediately identify the person by their faith, as if the media can be certain that physical appearance determines whether someone does or does not practice the teachings of a particular faith. These books would be mirrors for my son and act as a window into the unknown for readers who knew little about our Sikh identity. The Garden of Peace is an allegory rooted in the social despair of a time not too contrary to our own. Using the metaphor of weeds to introduce the difficult concept of social inequity allows readers to think and talk about discrimination. Although inspired by the story of Vaisakhi, readers discover how a nation-building event in Sikh history harvested citizens of change. This story answers why the visible Sikh turban is still worn today. My greatest fear remains facing the unknown with enough courage and integrity to overcome it. In recent times, the images and events around the world, fueled by hate and indifference to humanity, has affected me deeply. I have to believe that we, as a human race, can be better. Our children are watching us and learning from our (re)actions each day. It all leaves me both anxious and yet, hopeful. My first title – A Lion’s Mane – won the Skipping Stones Honor Book Award for Multicultural and International Awareness. Please reach out if you’re not sure about the context of a book that you’d like to share with your classroom or family. I ask a lot of questions, so please feel free to do the same. Diverse books are wonderful to have but do your research. If the story is misrepresenting any community in order to market itself as a diverse read, be cautious. Recently I saw an illustrator’s post about the Sikh Dastaar/Turban on her Instagram page and it made my stomach turn. These are stereotypes we’ve been trying to educate against for decades. It was so disappointing to read. This book is problematic not only because of it reducing an article of faith to a ‘hat’ but also because while being aware that this might be a problematic title, they continued to market it with the small Sikh turban (usually worn by children) as the primary image on the back cover. This title is an inaccurate representation and reverses our advocacy for justice at airport screenings, participation in Sports, visiting restaurants etc. When we talk about inclusion, equity and especially the newest buzz word – diversity – it carries much responsibility and courageous integrity. We cannot cause harm to one community in a drive to be seen as diverse to another. Since Saffron Press is an independent publisher, most libraries and schools aren’t authorized to add this gem to the stacks. Donate a story representing the Sikh community written by a Sikh to your local library, school, or tiny library today. Readers can be change makers and send a powerful message through purchasing choices, and library requests. That kind of data is tracked, and data drives change. Find out more on the Saffron Press website. Support Navjot by joining her on Instagram to share your reviews and anecdotes.